Ski season has started and it's not too late to get a Nakiska Season's Pass! Why Nakiska? The best hill is the one you go to! 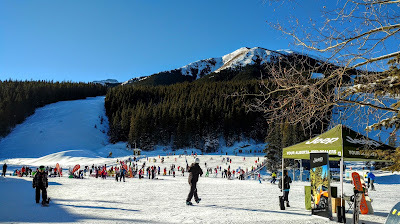 Since my first visit in '99, I've made lots of turns at Nakiska, and return each year to the promise of great skiing less than an hour's drive from home. There is terrain for all levels, with fun features such as the NaJibSka Rail Park and Monster Glades, an amazing snow school, and a long season thanks to state of the art snowmaking equipment. Last year, we made the most of our season's pass (15 visits! 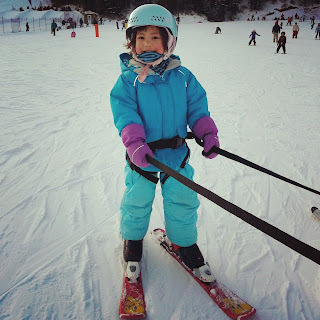 ), and were surprised at how quickly our kids progressed from bunny hill to blue runs! If you love to ski and want to go often, a Season's Pass or RCR Rockies Card is the best value for your money. Ski any time, all season long, for a great rate: Your Season's Pass pays for itself in only 11 visits (way less if you get the early bird special)! Not sure you will go that many times? Consider the RCR Rockies Card*. For little more than a single lift ticket, you get three free days and discounts at partner ski resorts. *Only available until December 26, 2015. Flexibility: Whether you like to sleep in, have an evening engagement, or have babies that nap in the morning, a season's pass allows you to ski when you want. There's no need to wait until 12:30 pm for half-day lift tickets! Since our girls are late risers, we head out mid-morning after a big breakfast and ski until the lifts shut down. It's just the right amount of time for little legs (and by not overdoing it, they're keen to go back)! Stoked to hit the slopes with my big girl! Terrain for All Levels: Nakiska boasts a large learning area (Kids' World with Magic Carpet), beginner-friendly green runs, the NaJibSka Rail Park, Monster Glades, and everything in between. While the runs off the Gold Chair are my favorite, now that I have children, I appreciate the beginner terrain. Beginner Tip: Once you have mastered everything off the Bronze Chair, try the Easy Way Down from the top of the Silver Chair and take the Homesteader Bypass to avoid the steeper section on Lower Homesteader. My daughter was able to do the easy way down when she was five! Shredding Pow In The Monster Glades! Super Fast Gold Chair Express: I love the Gold Chair Express so I can wait less and ski more. 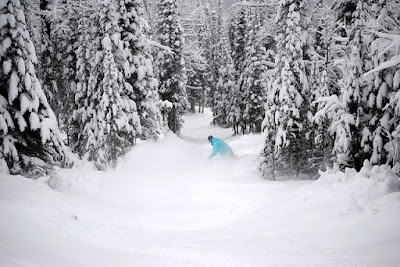 Tip: Play in the Monster Glades after a big dump of snow! This puppy gets you to the top o' the mountain in 5 minutes flat! 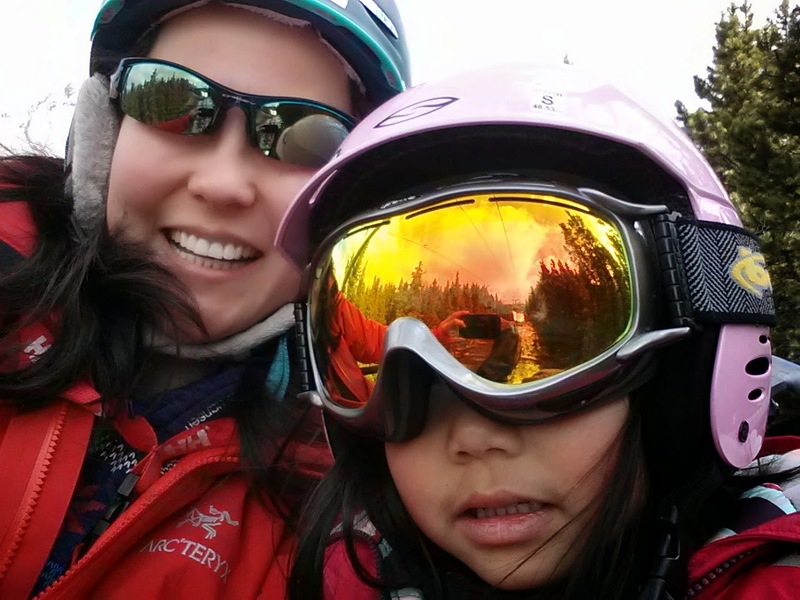 Kids 5 & Under Ski Free: For real! No fine print, just pick up a free ticket (proof of age may be requested). If your children are under 6, you only need to purchase adult season's passes! Resort Size: With 71 runs, Nakiska is just the right size. The hill is easy to navigate, with all runs on the same side of the mountain, and there are plenty of fun runs for everyone. Pop in to the mid-mountain lodge or main lodge for a bite. Fun fact: 28% of Nakiska's runs are advanced! Tell your kids to meet you at the Lodge for lunch! 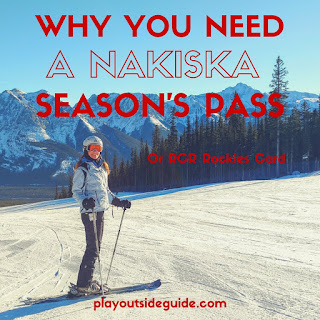 No Getting Stuck In The Flats: Nakiska doesn't have long, flat stretches to get stuck in, so you can ski or ride more! My boarder friends appreciate this most! Family Friendly: Families will love Nakiska's onsite daycare, Snow School, great learning area for first timers, and beginner friendly runs from the Bronze Chair. 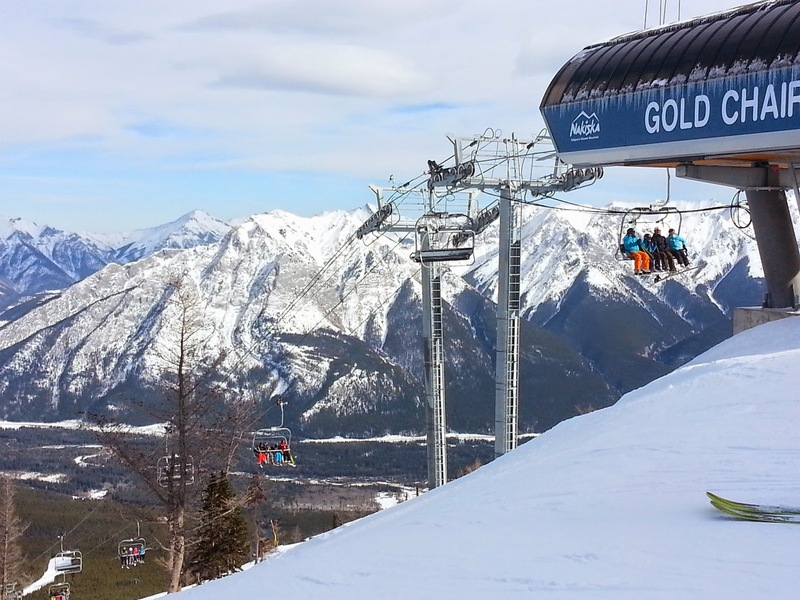 The Bronze Chair is not too fast, so first-timers can safely get the hang of getting on and off. Partner Discounts: Your Nakiska Season's Pass includes fantastic discounts at partner resorts, hotels, and businesses. See all member benefits here. 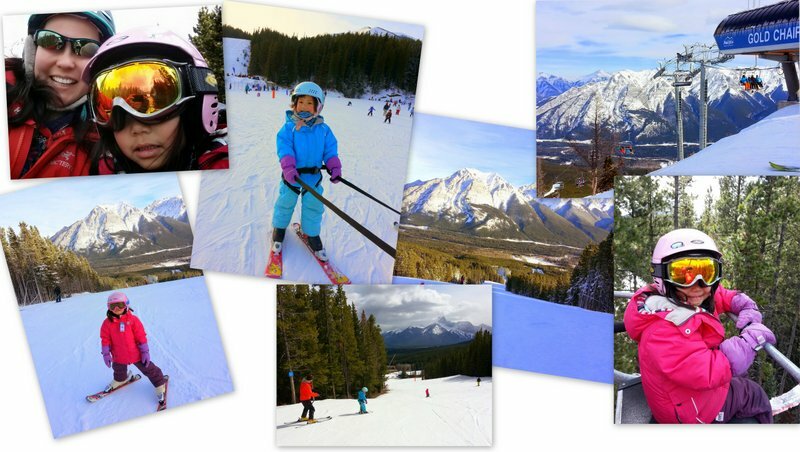 Bonus: Skiing at Nakiska is fun! See you on the slopes! At Nakiska! Disclosure: I received free skiing from Resorts of the Canadian Rockies, but all opinions are my own. Snow Fun for Everyone - no special equipment necessary!